Fellowship Reviews: For What It's Worth: All Hail the "King!" For What It's Worth: All Hail the "King!" 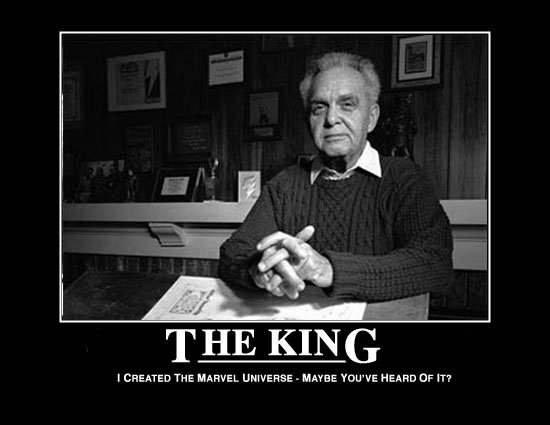 Today would have been Jack "King" Kirby's 94th birthday. He left us back on February 6, 1994. 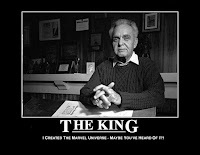 Despite what some people say, he is the co-father of Marvel Comics. He help create the following: the original X-Men, the Fantastic Four (based off of his Challengers of the Unknown for DC), the Avengers (and the founding members), among others. He co-created Captain America back in 1941 with Joe Simon. 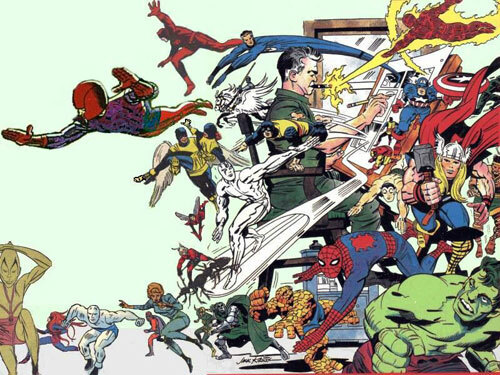 For DC, he created the Fourth World saga (the New Gods, Mister Miracle, etc. ), the Demon, Kamandi, OMAC, and the Kobra organization (not to be confused with G.I. Joe's COBRA). While we've had some incredible writers, artists, and creators come into the comics industry, no one has matched Kirby. More than likely no one will. He is missed.